Fans of the iconic '90s TV show "Saved by the Bell" can now get a taste of how their favorite Bayside High gang dined for even longer. 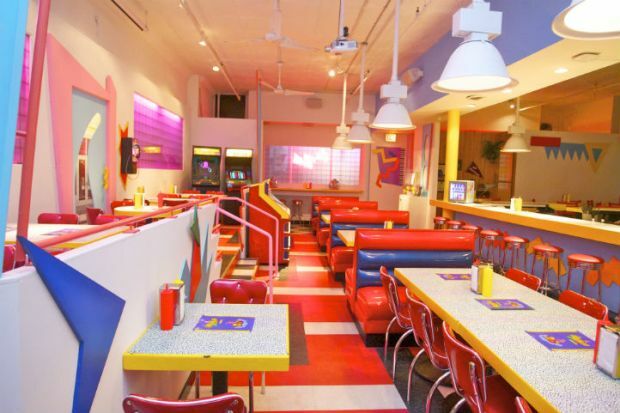 Chicago's Saved by the Max diner, a pop-up diner and replica of The Max in the city's Wicker Park neighborhood, has extended its stay through Dec. 31. "Due to the high fan demand and ever increasing walk in lines, Saved by The Max is happy to announce they've been granted permission to extend service through December 31st of this year," the restaurant said in a statement Monday. Tickets for reservations for the remainder of the year go on sale Tuesday at 11 a.m. The eatery will be open nightly for ticketed dinners. It also offers walk-in brunch and late night service. Tickets for the dinners through Aug. 31 have already sold out.